Medical marijuana patients in Canada may no longer worry about getting arrested for using cannabis oils or drinking cannabis tea, but they've still got a long way to go until they can purchase high-quality medicinal-grade cannabis extracts from licensed producers. The Supreme Court of Canada ruling this month struck down sections of the Criminal Code banning the use of non-dried forms of medical cannabis, allowing patients to use extracts and edibles — things like oils, tea and creams. While the ruling was seen as a huge step for patients, licensed producers say they are still stuck with the status quo. 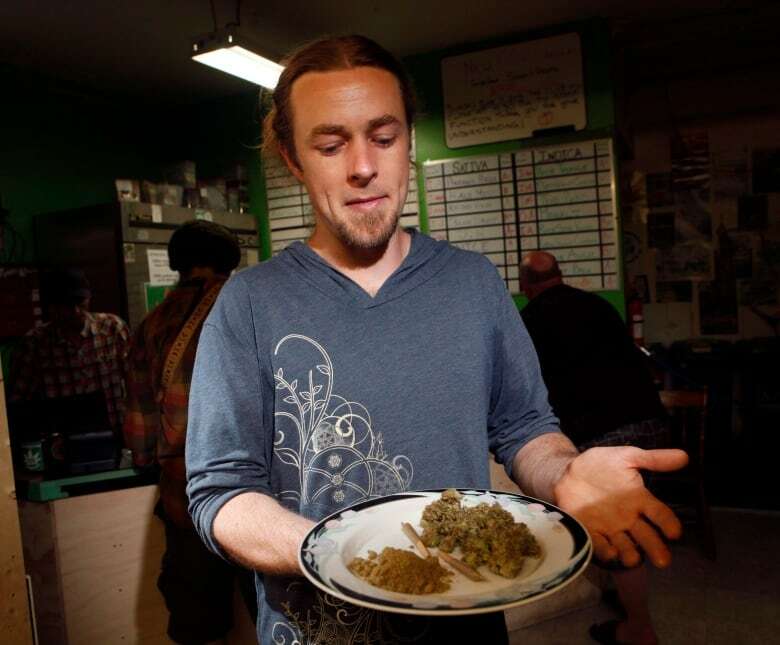 They say the ruling, combined with the current regulatory regime, effectively creates a grey market for extracts and edibles, allowing registered patients to buy extracts but only through unregulated and unauthorized sources. That's because the 25 medical marijuana companies licensed under Health Canada are still bound by the existing Marijuana for Medical Purposes Regulations (MMPR), which only allow them to sell dried marijuana. Gary Leong, chief scientific officer at Leamington, Ont. 's Aphria said the company has received multiple calls from customers asking for extracts. "Unfortunately, the [Health Canada] regulations don't allow us to do that," he said, adding that companies aren't allowed to even carry out research and development of extracts. That's not for lack of trying, though. Aphria CEO Vic Neufeld told CBC News the company has had "an open request" for a meeting with officials in Ottawa for the past three months "to no avail." He and Leong said Health Minister Rona Ambrose's reaction to the ruling — she said she was "outraged" — sends the message loud and clear that "she does not support this initiative and they're going to fight it all the way." Despite the minister's position, her press secretary Michael Bolkenius said in a phone call with CBC News that "the [extracts] decision, how it's going to be adjusted, is going to be purely taken on the department level." Indeed, Health Canada began accepting applications to amend licenses for extracts research and development last fall, according to the organization that represents licensed producers. "But the length of this process or the timing of any possible future changes is unclear at this time," wrote Neil Belot, executive director of the Canadian Medical Cannabis Industry Association. Health Canada wouldn't provide details on how the process to amend regulations is going. In an emailed statement from Health Canada media relations officer Sean Upton, the department said theMMPR provides Canadians "with reasonable access to marijuana for medical purposes, while protecting public safety." "The government is reviewing the [Supreme Court] decision in detail and determining next steps," the statement reads. The department did not answer questions about the information it's providing producers or patients on cannabis extracts. Considering Ambrose's position, a Health Canada ad campaign against the use of marijuana, and several negative Conservative ads against Liberal Leader Justin Trudeau's stance on legalizing marijuana, it's unlikely any big action will be taken on the contentious issue of medical marijuana with a federal election looming. The Smiths Falls, Ont.-based firm Tweed, however, is optimistic that it will be granted permission "over the course of the next couple or few months," said CEO Bruce Linton. The company filed an application about nine months ago. On Wednesday, Tweed announced it plans to merge with Toronto-based producer Bedrocan, which would make the combined medical marijuana firm the largest in the country. "We're the only parties currently producing full distribution legalized marijuana, and if extracts don't come from us but are permissible from other people, that means the supply may be of question," he said in an interview with CBC News. In the meantime, patients are left to fend for themselves. Mandy McKnight uses cannabis oil to treat her son Liam's Dravet Syndrome, a catastrophic form of epilepsy. She said she wants to be able to contact a licensed producer to get the extract Liam needs, rather than having to make it herself. 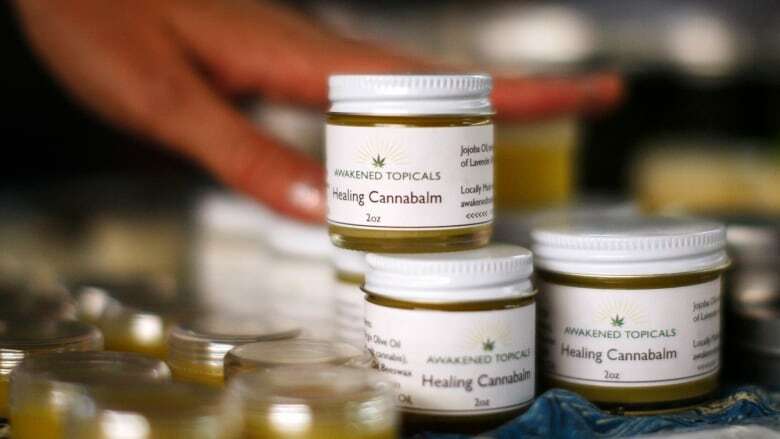 McKnight currently has to undergo a laborious and expensive process that involves buying dried marijuana from a licensed producer (Bedrocan), infusing it in coconut oil and sending it to an unregulated lab in British Columbia to test the cannabinoid content of the oil sample to make sure it's the right dosage before she can administer it to her son. She and her husband have settled on the appropriate dosage, but that was after months and months of experimenting to get to an amount where Liam stopped seizing. It didn't come without risks. "If we went too high on a dose, we may see an increase in seizures or see a different seizure type that we've never seen before. And then as soon as we reduced, it went away," McKnight said. "It's pretty crazy what parents are doing," she said. "There are lots of sick people out there that pharmaceutical drugs are not working for and this is a reasonable path to pursue."